The Department of Environment and Heritage Protection (DEHP) updated the Flora Survey Guidelines – Protected Plants (flora survey guidelines) in December 2016. In Queensland, all native flora species are protected under the Nature Conservation Act 1992 and all activities relating to protected plants (clearing, growing, harvesting and trading) are regulated by the Nature Conservation (Wildlife Management) Regulation 2006 (WM Reg). When must you undertake a Flora Survey? The area is within the high risk area (shown as blue) on the flora survey trigger map. Who can undertake a Flora Survey? Flora surveys are to be undertaken by a ‘suitably qualified person’ as defined by the flora survey guidelines. The ‘suitably qualified person’ must acquire a total of 100 or more points from the self-assessment grading system table (Table 1) in the flora survey guidelines which is based on qualification, knowledge and ability as well as field experience. Several members of the New Ground team are suitably qualified to undertake these flora surveys. What does the Flora Survey entail? The flora survey is to be undertaken within a clearing impact area, which consists of the area to be cleared (to the extent that is within the high risk area) and a 100m buffer zone. A suitably qualified person is to undertake the field survey within the clearing impact area searching for Endangered, Vulnerable and Near Threatened (‘EVNT’) flora species in accordance with the methodologies provided in the flora survey guidelines. If an alternative survey methodology is utilised, an approval of the alternative method must be applied for as a variation from the flora survey guidelines. What happens after the completion of the Flora Survey? Subsequent to the flora survey, a flora survey report must be prepared in accordance with the flora survey guidelines detailing the clearing impact area, survey methods and results of the flora survey. If the flora survey does not detect any EVNT flora species within the clearing impact area, an exempt clearing notification alongside the flora survey report must be submitted to DEHP within one year of the completion of the flora survey and at least 7 days prior to clearing/disturbance works. However, if the flora survey detected EVNT flora species, a clearing permit alongside the flora survey report, as well as an impact management report must be submitted to DEHP. New Ground has vast experience in undertaking flora surveys and acquiring clearing approval from DEHP for both situations where EVNT species have been detected and not detected. 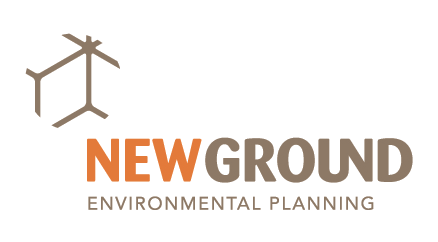 If you have any queries relating to how the flora survey guidelines may affect your current or planned project, feel free to call Nelson Wills to discuss further nwills@newground.com.au or 07 5575 7308.